Pick Analysis: Parker missed the first seven games of his senior season with a foot injury, then caught 43 passes for 855 yards and five touchdowns in the final six games and was a second-team All-ACC selection in a vote by the coaches. He tied the school record for career touchdown receptions with 33 and had 10 100-yard games in his career. He finished his junior season with 55 receptions for 885 yards and tied a school record with 12 touchdowns, while starting 12 games. Parker played in all 13 games during his sophomore season in 2012 and led the team with 744 yards receiving and 10 touchdown receptions. His 10 touchdown receptions were the most by a Cardinals player in a season since 1998 and he had a touchdown in six straight games to end the season. Was rated the 26th-best WR in the nation by scout.com at Ballard high school (Ky.), where he was a two-time all-state performer. His father, Anthony Shelman, played running back at Louisville (1991-1994). Published: April 30, 2015 at 09:49 p.m. The Miami Dolphins pick Louisville wide receiver DeVante Parker No. 14 in the 2015 NFL Draft. 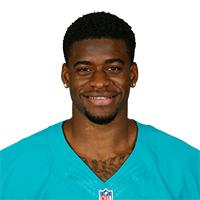 Published: April 30, 2015 at 11:58 p.m.
Miami Dolphins wide receiver DeVante Parker talks about the skills he brings to the table, how his game compares to that of Cincinnati Bengals wide receiver A.J. Green and what he wanted to prove in his final season at Louisville. Published: April 30, 2015 at 09:55 p.m.
NFL Senior Fantasy Analyst Michael Fabiano breaks down Miami Dolphins wide receiver DeVante Parker's fantasy value. Published: April 9, 2015 at 09:54 p.m.
Take a look back at the outstanding career of Louisville wide receiver DeVante Parker. Bucky Brooks analyzes prospect DeVante Parker's draft stock and makes his pro comparison to a current NFL player. Published: March 3, 2015 at 08:31 p.m.
Charles Davis, Daniel Jeremiah and Curtis Conway discuss which top wide receiver prospects could continue to climb draft boards as the 2015 NFL Draft draws closer.